I love everything about the Kines house in Hot Springs, which I’ve dubbed a wonder of “Industrial Glam.” While it combines a simplistic, modern look with functionality, the home remains inviting. Situated on the lake, the home is both kid-friendly and chic. I was thrilled to collaborate with Matthew Sarver again on the Kines’ home. (You may remember we worked together on the Burton Residence?) Our mutual affection for clean lines and modernism made for another match made in heaven, or in this case, Hot Springs. The combination living area/kitchen/dining area offers a magnificent view with its window wall and open floor plan. Utilizing whites and grays, we created a neutral palette which is brightened by the natural light emanating from the windows. Matt used concrete, glass, and steel throughout the residence, adding to the industrial feel. The master bed and bath continue the home’s theme. The bed is from Jill White Designs and is upholstered in a Jill fave (signature black & white graphic textile) by Kelly Wearstler, the graffito pattern. The wall behind the bed is concrete. We kept the awesome, fun bunk room simple and fresh by incorporating gray and white decor. The bedding and accent pillows are from IKEA, Target, and At Home stores. Keeping it simple prevented the decor from competing with the room itself. So, if you need a little industrial glam in your life, you know who to call. Note: All photos in this post are credited to Shannon LaDuke. As I recently shared on Insta, I completely reworked my own art wall. Try infusing a new piece or two in with artwork you already own. This provides a fresh look without breaking the bank. In other words: declutter and paint! Nothing will get you as excited about your space as a good old repaint. Try a white wall, and you will be amazed at how it makes the old new again. Also, go through your closets, cabinets, and things in general. Invite a friend over to go through it with you and repurpose or recycle what you don’t need. It is transformative. Add some succulents or some greenery to your space, both indoor and outdoor. Plants are an impressive, yet inexpensive, way to breathe life into your decor. Photos courtesy Shannon LaDuke Photography. Do something unique and unexpected with something you’re tired of. Paint a chair. Move that table that hasn’t moved in ten years. Add some wallpaper. I recently recovered my beloved great-grandmother’s chair, and it immediately made me happy. The effect was modern, yet timeless. So, what spring projects do you want to tackle? Look around and find one that excites you, then get to painting, recovering, organizing, or whatever it is that gets your spring vibes going. In an era of DIY, I am often asked about the purpose of a designer in the building and/or renovation process. This post is dedicated to the who, what, when, where, and why of builders, architects, and, of course, designers. To lend multiple voices and perspectives to the conversation, I asked some talented local professionals their personal takes on how they work in conjunction with designers and other professionals in the field and how these roles can be beneficial to clients. To draw a parallel, would you consult a physician without a medical license? Similarly, hiring professionals who are familiar with design trends and space planning, and who listen to your needs, will save you money, frustration, and time in the long run. So, enjoy, and feel free to post questions! Jill White (JW): What do you consider your two largest professional accomplishments? Chris Sheppard (CS): Earning my architectural license at 24 years old and having multiple happy clients. I know the second one is cheesy, but it is true. A happy client can make even the mundane project enjoyable. JW: What types of projects do you typically pursue? CS: Commercial buildings of all kinds….and some residential if the client, the builder, or their design style is a good fit. JW: What are you known for in the industry? CS: Being pleasant to work with, having a good sense of design, and knowing how to appropriately edit a design when necessary. JW: In a nutshell, describe what you do. CS: Americans spend 90 percent of their time indoors. I try to make that 90 percent of your life enjoyable, functional, and safe. JW: How does a builder/contractor factor into your work? CS: One role of an architect is to protect the owner’s interests regarding construction. I appreciate a builder who is transparent—one that works hard to do a good job and believes in collaboration. I will never recommend a builder who thinks they know it all (because I can assure you, they don’t). JW: How do you work in conjunction with a designer? CS: I work well with designers….unless they move to the exterior of the building. Just kidding! Most designers have a complimentary skill set to mine, and I value their opinions. JW: What are the benefits of working with a designer? CS: I love working with good interior designers. So much of what an architect designs is unseen or [is eventually] covered with drywall. An interior designer gets to focus on the tactile and visual experience of a building, and that is often what owners have the most interest in. Having a professional, whose sole job is that, can be a blessing. JW: Why should a potential client hire you instead of a draftsman? CS: Knowledge + Experience. As my father would say, “You don’t even know what you don’t know.” With an architect, you are getting, potentially, decades of knowledge, a minimum five years of formal design education, seven licensure exams that ensure safety, and the experience of hundreds of completed projects. I inherently know what makes good design, and it is my minimum standard level work. JW: Any information you would like our readers to know? CS: Hire a professional—and one you enjoy being around. We are here to guide you and make the building process easier. Building can feel like an overwhelming task, but to us, it is a daily routine. JW: What do you consider your two largest professional accomplishments? Randall Hurban (RH): Getting licensed and getting construction documents done on a 68,000 square foot school project in three months. RH: HJA is known for getting beautiful projects done on time and under budget and for keeping the client’s needs first and foremost. JW: Describe what you do in layman’s terms. RH: I am an architect that delivers my clients their dream project within their budget. RH: They are integral in our projects, especially if they can come on board early in the design phases for pricing exercises and allow us to explore various options. RH: Designers, similar to contractors, allow us to make the correct decisions early on, so we don’t blow the budget but still get the client what they originally dreamed of. RH: Designers stay up-to-date with the latest trends, products, etc. and can help aid in the overall design of a project, really being crucial to the look of a project. JW: Why should a potential client hire you as opposed to a draftsman? RH: Draftsmen have their purpose, but if a client is looking for a knowledgeable and well-educated designer with current building practices and code understandings, an architect is the way to go. JW: What do you consider your two main professional accomplishments? Jeremiah Russell (JR): Getting licensed, and opening my own firm. JR: Clean, modern designs that are space and energy efficient and are affordable to construct. JW: Briefly describe what you do. JR: I create custom designed homes that function better and that sell faster and for more money than the average spec or builder grade home. JR: As a licensed residential builder, we can provide design/build services for some of our clients. Generally, we work with other licensed contractors and subcontractors. We try to encourage our clients to select a contractor early in the design process to help with budget analysis to make sure that things stay in the range they need to be in and to provide constructibility guidance as well. Construction is a team effort, after all. JR: Interior designers tend to come into the picture after our design work has been completed. This is not ideal. Similar to selecting a contractor, we would encourage any client thinking about hiring an interior designer for their project to do so early, so the process can be collaborative throughout design. JR: The benefits of working with a designer, for the client, are to have a dedicated and trained professional curating the fixtures and finishes of a design, offering design input to the architect about function and flow, and providing oversight during final installation to make sure the finished product is perfect. JW: Why should potential client hire you instead of a draftsman? JR: That’s easy. Professional expertise in design, construction, and building technology. A draftsman will follow instructions to draw what the client instructs. An architect will listen to the needs, wants, and desires of the client and create a full design that is truly unique to that family. An architect-designed home will function better, perform better over time, and appreciate in value faster. JR: Design and construction are collaborative processes. They are not exclusive. The architect is not done when the drawings are issued. The entire team – architect, contractor, and designer – need to be involved and working together from the beginning of design through to the completion of construction. This helps ensure the client’s investment is sound, and their project is built according to plan and according to a budget. JW: What do you consider your two biggest professional accomplishments? Ben Booth (BB): Being nominated and voted in as a board member, and eventually president, of our local Home Builders Association. Also, building my business to the point (through great clients and projects) where clients seek me out for their homes and all business comes from word-of-mouth. BB: Being friends with my clients after we complete their homes, honesty and integrity, and always being available to my clients even after they’ve moved in. BB: The majority of what I do includes high-end custom homes. So I work with clients from the lot selection process, to the floorplan design, through all of their selections. Then I build their home based on their budget, those selections, and their vision. JW: When do you like to enter a project? Do you like coming in first (before the architect or designer)? Do you like knowing who the architect is first and having plans brought to you? BB: My preference is to be the first one involved with the project. My most successful projects, regardless of the designer or architect, have been the ones where I’ve been selected and involved from day one. JW: How does an architect factor into your work? BB: My projects are probably 50/50 architect and draftsman as far as the floorplan and who draws them. JW: In your opinion, when is it okay to not hire an architect? What kind of project can only a builder take care of? BB: There are several floorplans I’ve built in the past where a draftsman was sufficient. Because many of my clients can’t envision rooms/spacing/perspective until we’ve framed the house, three or four pages of plans are all that is required. The key is having a builder who is knowledgeable, experienced, flexible, and willing to help take responsibility for changes that are required. BB: Since my wife, Cassie, is an ASID designer, I work in conjunction with a very talented designer on every project! She has certainly been a huge part of my success as a builder. BB: For me, personally, it helps tremendously in the selection process, overall organization of those selections, and catching the vision for the overall design early in the process….all very important to me. Also, selfishly, it makes me look much better as a custom home builder, because my clients’ homes turn out better looking! BB: Do not hire a builder who’s been building less than 10 years or who builds “on the side.” I’ve been building since 2000, and I learn things every day I wish I had known earlier in my career. It’s too easy to get a builders license in Arkansas, and [building a home] is the largest personal investment you’ll ever make. Know your builder and his or her background. JW: Starting my own business. Also, getting to work on The Waters, a boutique hotel, the Holy Grail for most designers, my second year in business. JW: I do it all! Here lately, I find myself really loving family homes. JW: Black, white, and grey?! I hope I am known for my ability to connect with my clients, to really get to know them on a personal level and design spaces they love and enjoy for years to come. The more I know about my clients, and the more they teach me about their lifestyle, the better I can design their space. JW: HUSTLE!!! A typical day (after my precious Stella is off to school) involves correspondence (emails / texts/ calls), client meetings, site visits, lots of computer time, and general craziness!! I typically meet with a client to discuss the scope of work and their needs. With an existing space, I measure the areas to be renovated and prepare an accurate floorplan, then begin the conceptual phase. Once the concept is approved, a final plan and millwork elevations are prepared for approval. Then the fun starts! JW: I love working collaboratively with builders. My favorite, go-to builders are those who bring something to the table. Those with ideas, creativity, problem-solving skills, and respect. Those who understand we are on the same team and are working together to make the best space for the client. JW: How do you work in conjunction with an architect? JW: Similarly, an architect is a super important part of the team who ensures the space flows functionally and aesthetically. Designers / architects / builders each bring important, necessary expertise to the table. It is worth your money to invest in a good team who will oversee your project from beginning to end, each working collaboratively alongside each other to execute design intent for the client. JW: We have college degrees. This is our life. What may end up being a stressful, overwhelming process for most is something we are accustomed to dealing with daily. As a designer, I execute your vision and make your space reflective of you and your tastes. Ultimately, building or renovating is a huge decision for most, so doing it right the first time will allow you to enjoy it for years to come and will also help with resale. JW: When do you like to enter a project? JW: I am often asked who comes first – the designer, the builder, or the architect. Everybody wants to be first, ha! It depends on what you want to do. Obviously, if you want new furniture or to do a small remodel, call a designer. If you are building from the ground up, you may call an architect. Additionally, it is really up to the client and who they may already have a relationship with. I know we all respond differently, but I think it is most important to have a good team of qualified people with the right credentials. The first work is from Holly Addi. You can learn more about her thoughtful abstracts, and commission one, by visiting Instagram or her website. The second piece is by NG Collective Studio. Visit their lovely Instagram page to see their work and inspiration, and don’t forget to view their website. The final work is from Karina Bania Art, whose Instagram is wonderfully full of painting along with the occasional self portrait. You can also visit her website. The pillow at left is available from the endlessly talented Lindsay Cowles LLC. The throw at on the right is courtesy the Vintage Rug Shop. Get Away: If you really want to make an impression, book a local weekend getaway. Arkansas offers some fantastic boutique hotels that appeal to those with an eye for design. 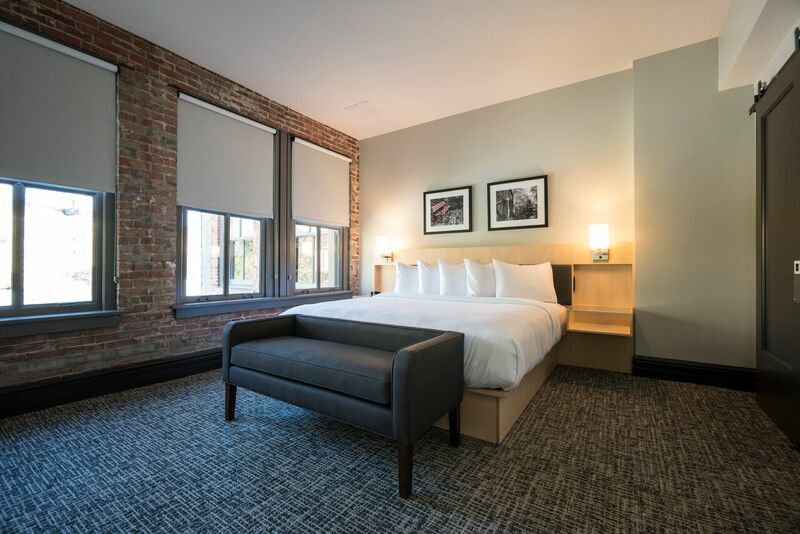 Of course, I will shamelessly plug the Waters Hotel in Hot Springs to start, but there are several other options as well, such as the Capital Hotel in Downtown Little Rock, and 21c Museum Hotel in Bentonville, among others. An added bonus: Each of these options offers dining, so there is no need to travel once you get there. Regardless of your gift choice, consider the recipient. Keeping their preferences in mind will always result in a happy gift-giving experience. Enjoy your Valentine’s Day, and happy shopping! All photography in this post courtesy @3wirephotography. Okay, how many of you do it? Go nuts and chronically over-decorate for Christmas? <Raises hand slowly.> I love it. I am the weirdo who typically has her trees up before Thanksgiving. Yes, I do enjoy Thanksgiving, but Christmas decor requires so much work, I want to enjoy the end result as long as possible. My theory is that Thanksgiving officially kicks off the holiday season. When it gets cool outside, when fireplaces are lit, and when Thanksgiving approaches, I get all the holiday feels and can’t help myself. My philosophy on trees is “the more the merrier.” I put up a lot of trees; this year I did six! Two of them have no decoration, rather they are a solid black and a solid white in the guest room. Shocker. I used black and white. My holiday décor features a good number of recycled hand-me-downs, half of which belonged to my great-grandmother. She was The Holiday Queen. She had the most beautiful holiday décor in almost every room of her home. (I miss her!) All the teal décor on my main tree, the white and gold angels in the dining room, and the oversize jewels on the boho tree were hers. I love them and will continue to use them every year until the glitter and paint fall off! If you’re like me, you spend too much during the holidays, so I personally try to design on a dime. My main tree includes 90 percent (the above mentioned) hand-me-downs. My entire “boho tree,” excluding my great-grandmother’s oversize jewels, was purchased at At Home store (inexpensive)! My daughter, Stella’s, bedroom tree is 90 percent handmade felt ornaments, crafted by yours truly. The skirts for all trees except the main one are blankets I already had. One of my favorite holiday décor items can be found in almost any yard; go outside and cut things! (If not, try your neighbor’s yard; they won’t notice!) Holly (of course), sticks, willow, magnolia branches, or pine cones. I display these items in vases scattered throughout my home. It is an easy way to be festive and spend zero dollars. How do YOU decorate for the holidays?? What means the most to you?? Thank you to all of my clients for your support this year!!! YOU are the reason I get to do what I love every single day!!! Thank you to the contractors and their subs, my installers and handymen, to my amazing reps and vendors, for without you this job would not be possible. Thank you to my mini team!!! Miki (I am so thankful to have you join my team!!! ), Ansley (You come whenever you want, sweet girl. ), Jessica (for your occasional styling help), and my amazing sister, Jenni, who started this blog and website for FUN. I am so lucky to have you all!!! And, lastly, to my family and friends for your continued cheerleading and support. I love and appreciate you all!!! Design doesn’t have to be relegated to interiors, and Thanksgiving tables don’t have to be boring or predictable. In fact, I’d caution against the tired cornucopia centerpiece. Make this the turkey day you break free from using the same tired decor! Here are a few ideas from Pinterest to spark your creativity! So, while pumpkins are hardly unexpected at Thanksgiving, think outside the grocery store box and grab some spray paint! I love how they added hues of gold, gray, blue, and black in different finishes to add interest to the palette. Though their arrangement appears haphazard, upon closer inspection the pumpkins are arranged by color and size. The farmhouse table simple place settings, and natural greenery tied with twine complete the look. Tablescapes aren’t limited to the obvious or the decorative. Use your dining space in a meaningful way. I love how this Pinterest user crafted a handwritten thankfulness list, allowing guests to ruminate on their blessings. This is an easy DIY the least crafty person can do, using only pen and paper. This one wins “most likely to have been designed by Jill White.” The black and white? The greenery? Those place settings? I love the use of nontraditional Thanksgiving colors; there’s no brown or orange in sight! The basic stemware and crisp, classic whites make for a fab, modern, yet inviting tablescape. Here’s another that could easily inspire my own work. While we have the classic white dinnerware, I love the addition of the natural charger, gold flatware, and black and white linens. The personal touch provided by the “thank you very much” reminder is also nice. The basic white antler and succulent terrarium as centerpieces add a fun, updated feel. Lastly, being Thanksgiving and all, I want to thank you – my clients and readers – for your business and friendship. I truly couldn’t do what I love without you. For that, I am thankful for YOU! Enjoy a happy, safe holiday week. On occasion an exceptionally exciting renovation comes along. You are about to meet the McClure residence, also known as #jwdfoxpartyofsix on Instagram. I may have posted about this one j-u-s-t a little. This property was a dream to work on. I was hired onto the project during the framing phase. Fortunately, I was on-board in time to put my stamp on the floor plan. My services were provided in conjunction with the builder, Chuck Hamilton Construction of Little Rock. The vision for the home piqued my interest from the beginning. I mean, it’s not every day that an 8,000 square footer comes along. Not only was it was a huge project, but once I met this precious family of six, I knew it would be the perfect job for me! We replaced the red brick exterior with stucco in a custom color. The dark casement windows are in Iron Ore by Pella, which I love. We used gas lantern lighting from New Orleans-based company Bevolo Gas & Electric Lights. We added a contemporary metal mailbox from an awesome shop out of Austin, Texas I found on Etsy, Bold MFG & Supply. Then there is the custom iron door. Not just any door, this thing was around 17.5 feet and something like 5,000 pounds! It was created and installed by Arkansas Custom Iron Doors. Pictures from this point on courtesy @3wirephotography. This home also included a beautiful, functional laundry with metal lockers and a herringbone brick floor. The metal is from Bray Sheetmetal, right here in Little Rock, and the brick from Antique Brick Outdoors. Larger families thrive on details that can help with organization and maximum use of space such as this. More white and gray marble with an open, airy space. The shower is also marble with custom chrome fixtures by Brizo Faucet. The mirrors are from Mirror Image Home with lighting by Visual Comfort & Co. I love that this project took a complex, existing structure and turned it into a modern, streamlined, and functional family home. If the family is happy; I am happy! I first met Dr. Jeff Holt when I sold him my old house. They moved back to their hometown, so Jeff could join his father’s optometry practice. They loved my interior so much they hired me to design their new (my former) home once they moved in! Once settled, Dr. Holt was ready to reinvent the look of the clinic. He called me to help with Phase One, which was renovating their optical department. To learn more about Holt Eye Clinic, and to see additional views of the newly renovated optical department, visit their website (under “Eyewear Gallery”). With Phase One completed, we moved to Phase Two, which consisted of the waiting area, beverage bar, public restrooms, and cataract waiting room. I love how the finished project proves commercial space can be bright and fun….and unexpected! As the main waiting area, we wanted people to instantly feel welcome and refreshed. Painting the walls and brick white opened the space. Keeping the trim a medium gray added a nice contrast to the walls and provided a more structured feel. We kept the furniture light and modern as well. The couches and chairs are from Evo Business Environments, and the coffee table is from Jill White Designs. The carpet by J & J Flooring Group provided a little color, and the pattern added some movement to the design. Okay, a crowning jewel of this reno has to be the letter stools in the main waiting area. I was inspired by similar seating I’d seen at market in 2015. I filed them away in the recesses of my brain and knew they’d be the perfect fit for Holt. (Don’t you agree?) They were designed by ME and perfectly built by Troy Turner with Turner Custom Millwork. “After” photos in this post courtesy @3wirephotography. The “O” is an upholstered storage ottoman from Evo. It mimics the “O” in the Holt logo. The remaining letters are custom made woodwork. Making the stools even cooler, they are constructed of 110-year-old oak and cypress reclaimed from an old general store/post office in South Arkansas. They are finished with a clear satin poly. Yep, it’s the same space! The addition of the beverage bar helped add a little extra hospitality for patients. The use of aqua added a calming element. The cabinetry and countertops in the beverage bar and the restrooms are glossy white plastic laminate by Wilsonart. The beverage bar wall tiles are glossy white tiles made of PVC (another fun market find)! We added some greenery and some gold accents to make the space more inviting. I love the addition of the lamps and the modern coffee table. The lamps and accent pillows are from Target, the tables from Jill White Designs, the sofa from Evo, and the white chairs from Wayfair Trade. The colorful abstract is by Lauren Meredith Art. I loved working on this project, and Holt Eye Clinic was an amazing client. I love knowing their patients are enjoying a happy, open building! Don’t be afraid to approach commercial design with a fresh perspective. Adding unexpected textures, colors, and finishes can make all the difference in the completed project.